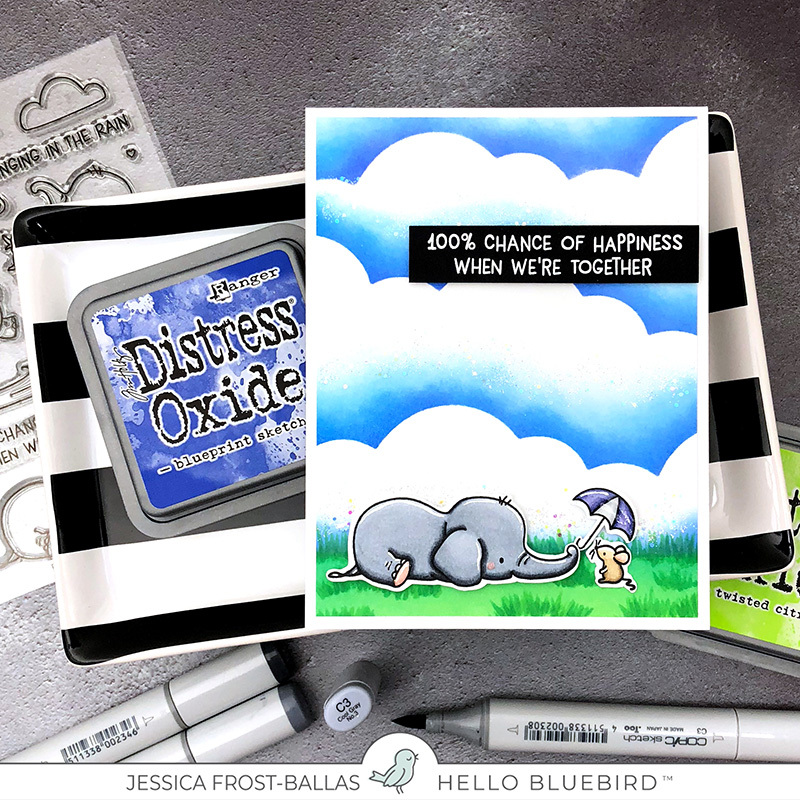 The Hello Bluebird May Release is coming on May 17th at 7:00 PM (MDT)! 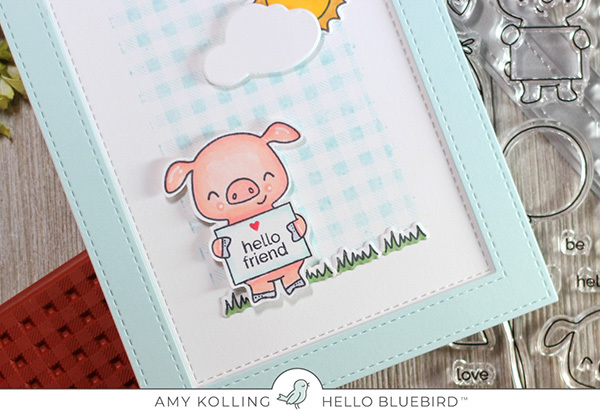 You can enter to win by commenting on any of the three Preview Week posts on the HB Blog. Please leave only one comment per person, per day. All comments must be completed before Noon (Mountain Daylight Time) on May 17th. One winner will be randomly selected from each Preview Week day. Winners will be announced at 5:00 PM (Mountain Daylight Time) on May 17th on the HB Blog. 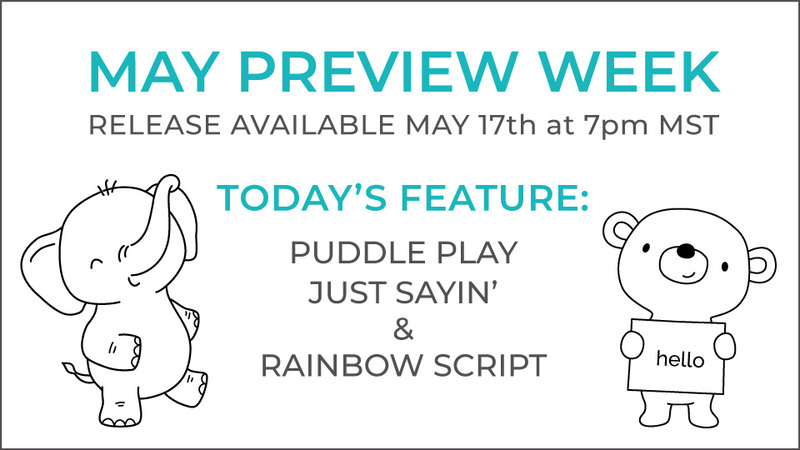 Today we are introducing “Puddle Play”, “Just Sayin'” and “Rainbow Script”! 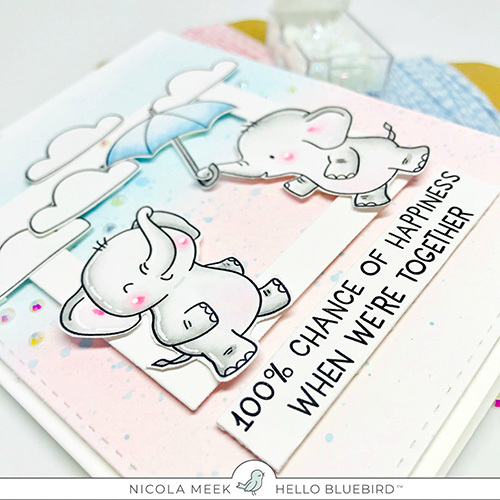 Nicky’s card is also featured on her blog Click Here with even more pictures and all the details! 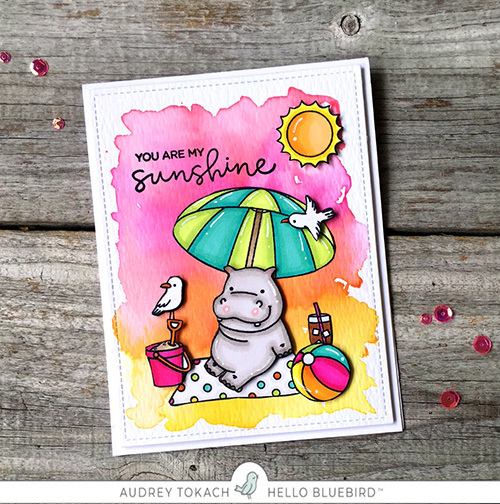 Audrey’s card is also featured on her blog Click Here with even more pictures and all the details! 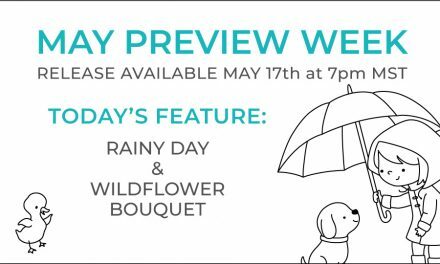 Don’t forget that tomorrow is the May Release (May 17th)! All of these goodies will finally be up for grabs!!! In addition, we will be revealing some not-yet-seen stand-alone dies tomorrow! Thank you for coming by today. Let’s make it the same time, same place tomorrow! oh so CUTE. 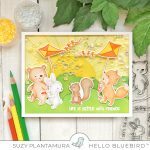 Love all the sweet inspiration! The Just Sayin stamp set is just calling my name 😊! 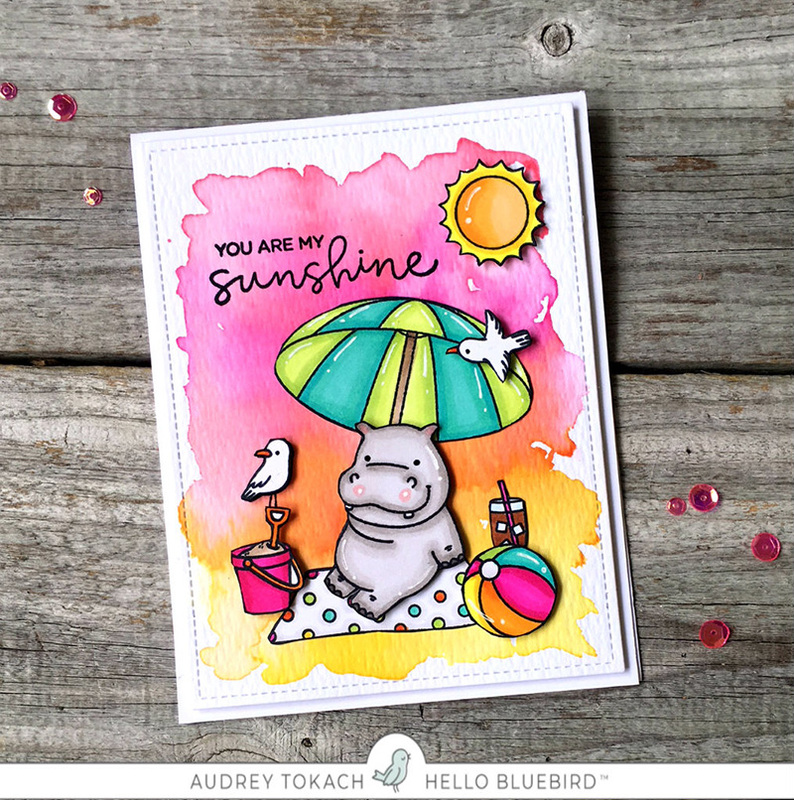 I can foresee lots of cute creations with that – but all these new releases are amazing too! These are adorable, love the elephants 🐘 they always remind me of my friend Mary in my hometown in Texas. Miss her & my family so much, would love to send them all cards! So cute once again! I want to buy all the stamps of the new release!! I love all the critters, can’t wait to color them! They are all so adorable, but my favorite are those little ducks. Love all the nice sentiments. Omg! They are super cute! I will have to own them. What great sets! 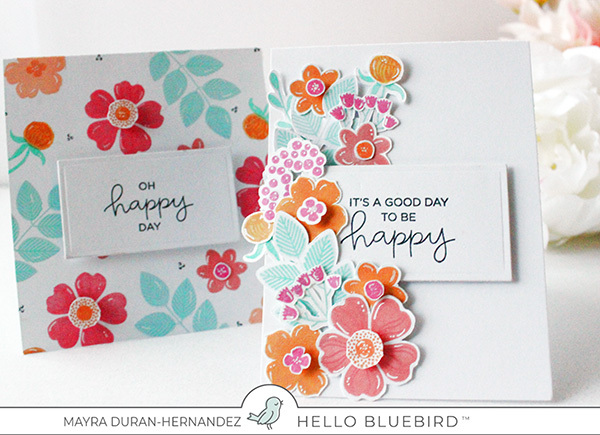 Love the sentiments–both the sayings and the fun mix of fonts! 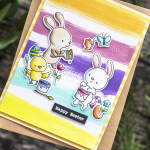 I love critter stamps sets and these are adorable! 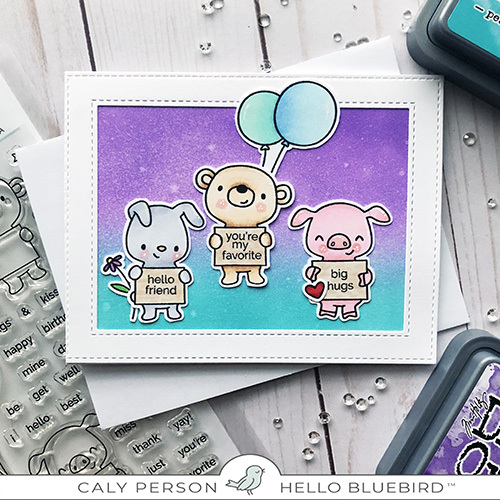 I also wanted to thank you for the add on rainbow script sentiment stamp set that I look forward to using on many cards. 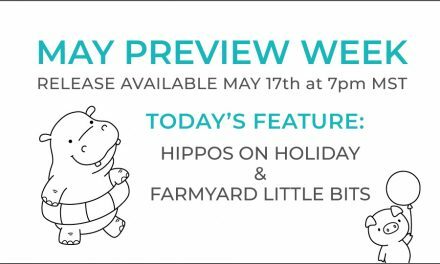 I didn’t think you could top days one and two of the preview but day three is just filled with cuteness too! Such a super sweet release! Oooooh. I think these are my favorites so far! I think my favorite part is how well they all play together. 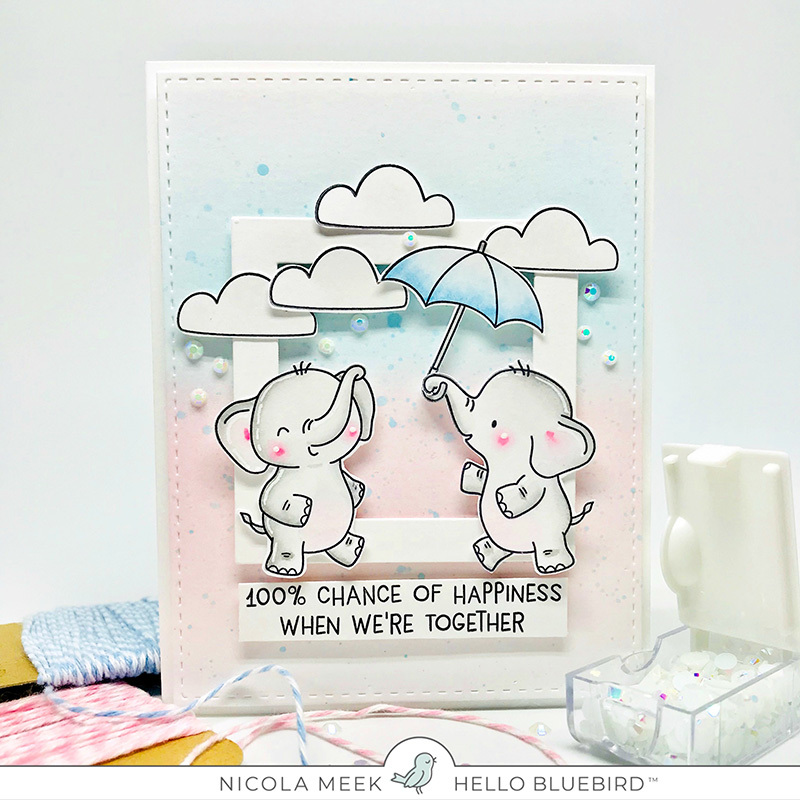 The two elephant sets, the rainy day and rainbow script gives so many mix and match possibilities! oh my goodness! too cute! need it all! Oh my gosh!! Killing me with all these cuteness!! 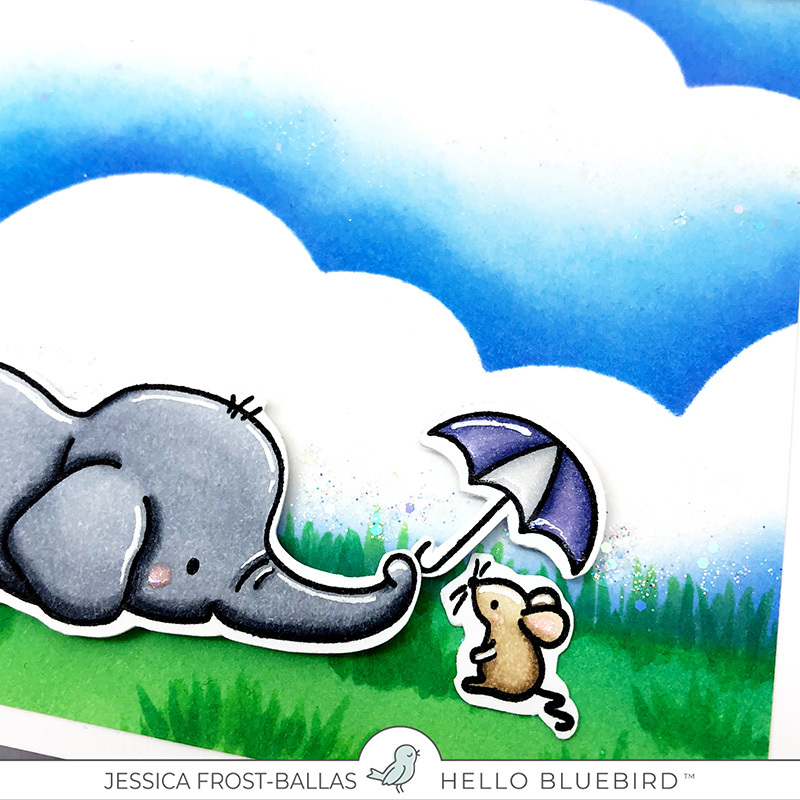 I’m in love with those elephants!! So cute! Oh my goodness! 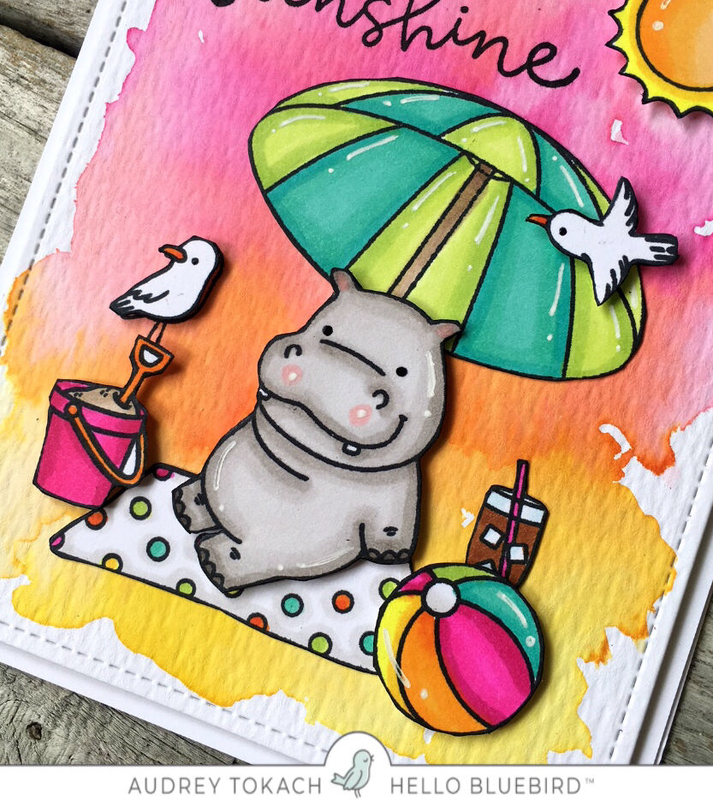 Such darling designs, they are so fun! Great projects too. Fantastic! I love the theme of the umbrellas and friends together. And the set with the animals holding little signs is just too adorable. 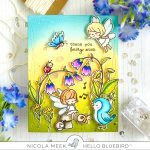 Thanks so much for sharing this fabulous release! So cool and sweet!! I love them all!! So adorable! EEK! Can’t wait! So cute! I’m so excited for this release! 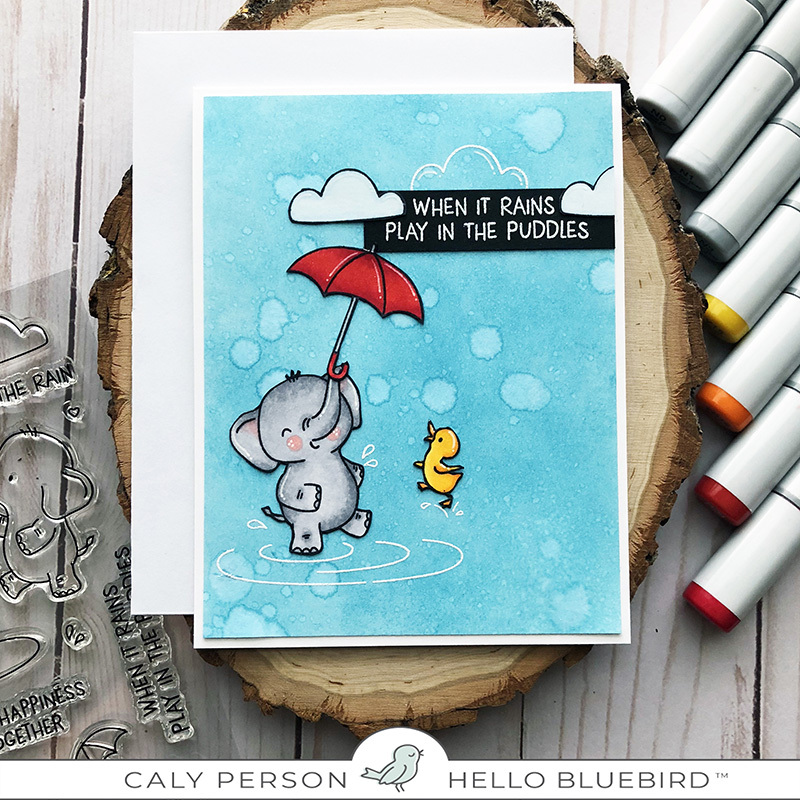 Puddle Play! Just the name makes me smile! Each of these cards are absolutely delightful – love the creativity, color, cheer!! 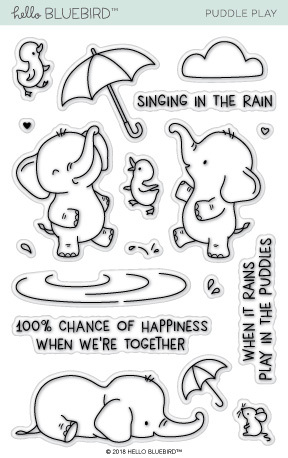 Those elephants are absolutely adorable! Their poses are so dynamic, and I love the inclusion of the little critters. 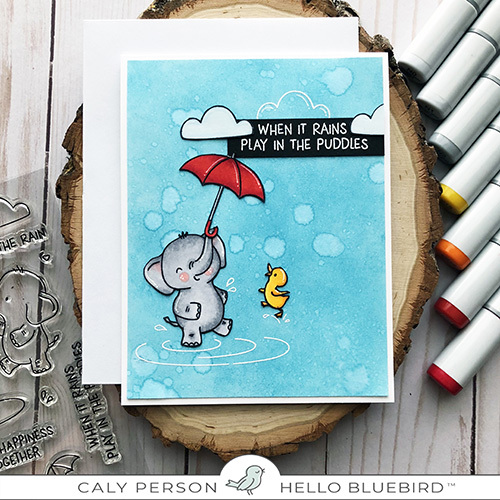 I was already wanting to get my hands on “Elephant Friends”—now I need “Puddle Play” as well! The sets will work splendidly together. “Rainbow Script” pairs so well with the rest of the release, too. My wish list keeps getting longer! 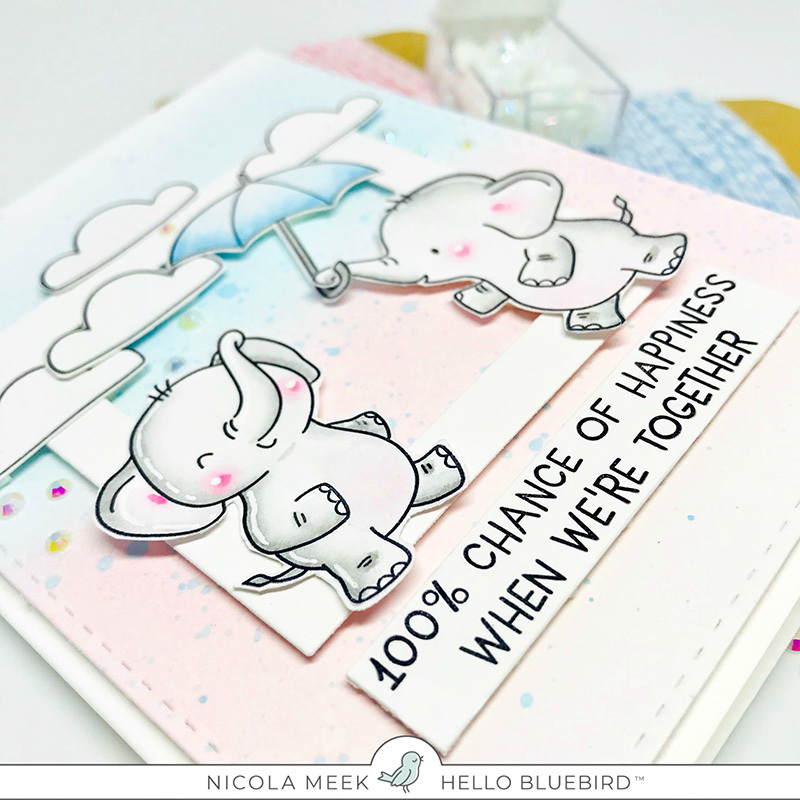 The Puddle Play elephants are so cute and perfect with the Rainbow Script. Love the handwritten font. These are all just adorable!! So excited for this whole release!! Love the sentiments- so well done!! I love the sentiments set! Puddle play looks amazing! All of these sets are fabulous. I can’t wait for the new release! 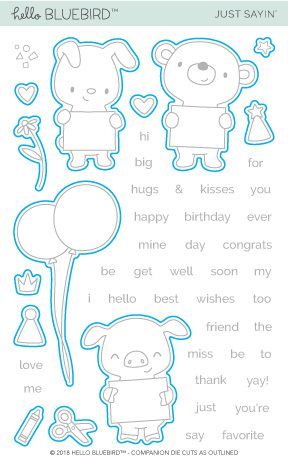 I can’t even… these are the cutest stamps ever! Well done! These stamps are so cute! Can’t wait for tomorrow! 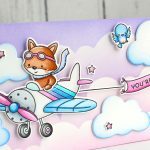 Every sneak peek is just getting cuter!! 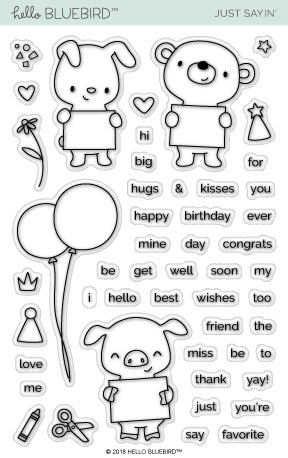 Love all of these but can’t wait to get my hands on the Just Sayin set…SO very cute! Wow so many awesome new sets, love them all. The design team projects are all so cute. 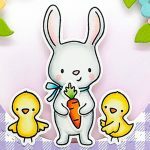 The little critters are beyond adorable! Gosh, do I just love the whimsical look of all your images!! Those elephants are definitely a must have!! Love all these precious elephants! Just Sayin is quickly becoming one of my favs! All these sets are once again adorable! Thanks design team for more amazing inspirational ideas too! These sets are super super cute!!!!!! This one is my favorite! So so cute. I’m gasping from the cuteness overload! You have the best, most adorable critters ever!!! 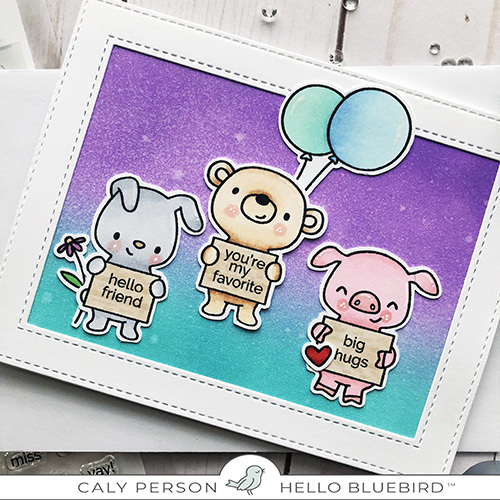 Loving this whole release, I would love it all, it’s so darn cute. 🙂 Looking forward to seeing the standalone dies tomorrow. Great release! Can’t wait for the 17th! 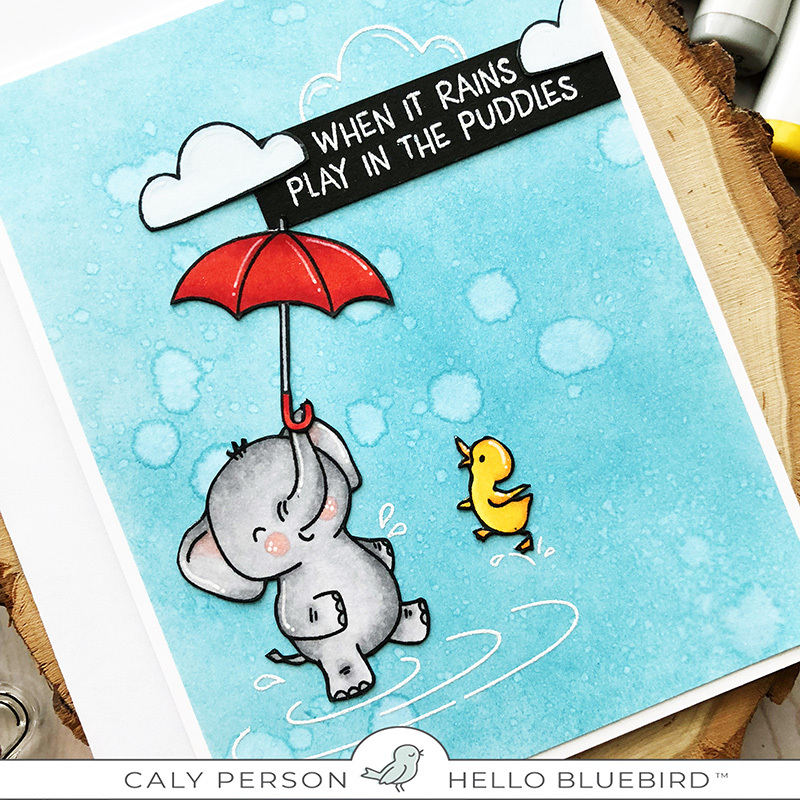 Puddle Play is just adorable and so perfect for this time of the year and I can just image all the different sentiments you can create with jus’ sayin. Such a cute release. The Puddle Play set is so cute! And it has alllll the elements too, love that it even has a cloud! 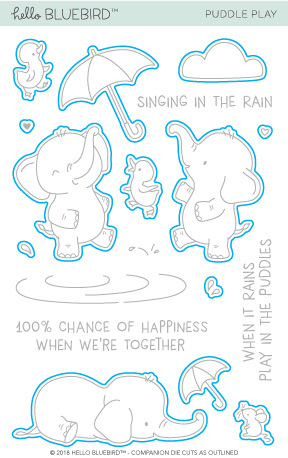 Omg the puddle play set is so cute, I need to add those to my collection since I have your other elephants. 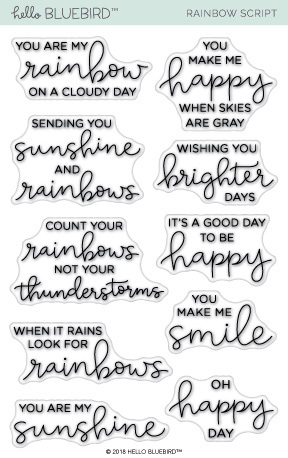 I love the script for the rainbow script sentiments, it’s a beautiful font. Great release can’t wait till tomorrow! Puddle play is my favourite here, I love all the cute and varied characters 😍 that’s not t say, however, that the other sets are not cute, lol! I’ll look forward to seeing the dies, too! Such a darling release! Love all of it!